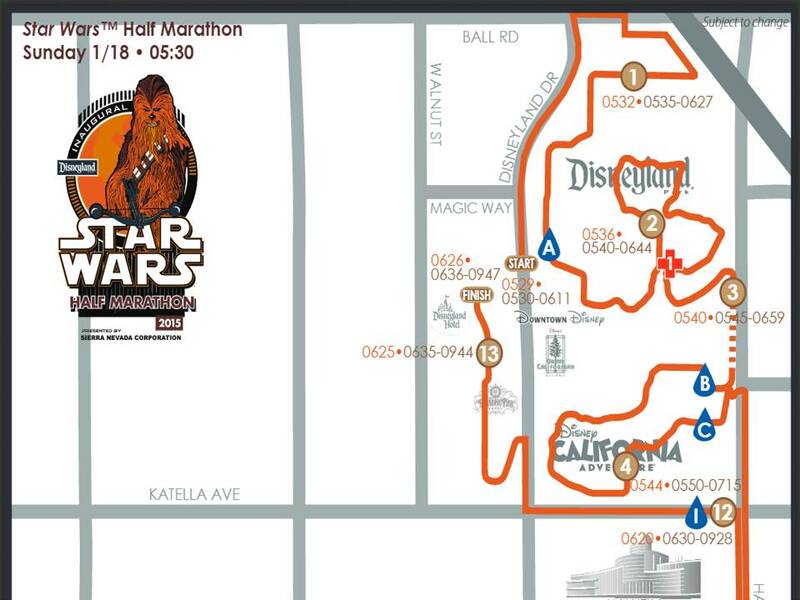 This is the first in a three-part series where we will look at the upcoming Inaugural Star Wars Half Marathon Route. 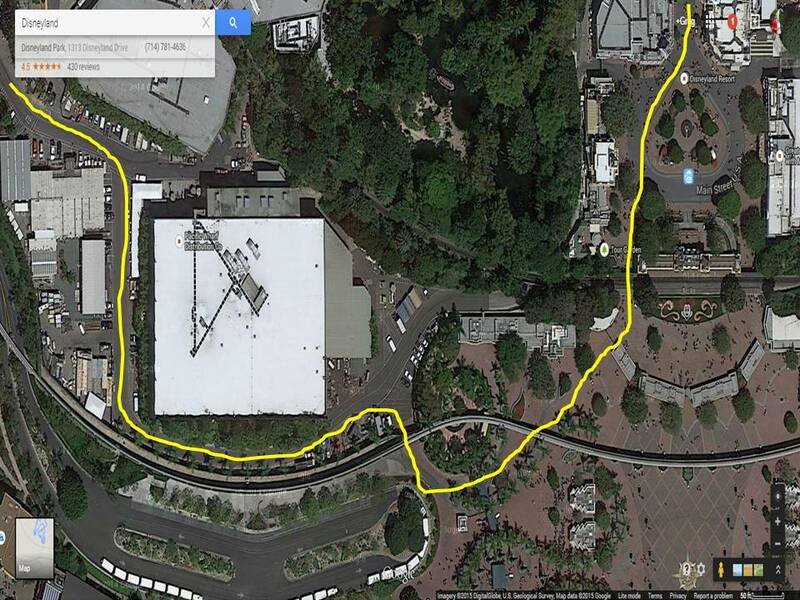 I took a dress rehearsal over the part of the course that is not in the theme parks a few weeks ago. 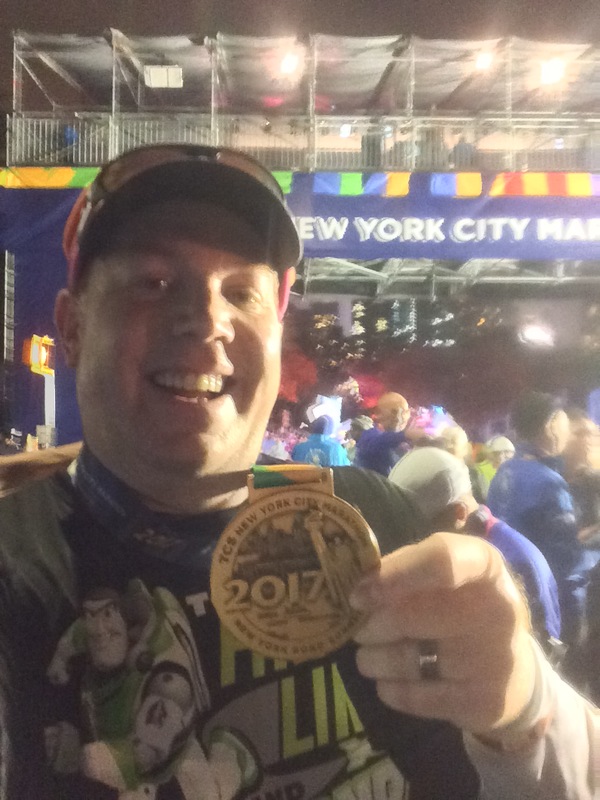 This first part, much like my first part of the Avengers Super Heroes Half Marathon examination of the route, is my best guess based on the map runDisney provided. I did pretty good at guessing on the Avengers route. So we will be examining much of what this portion of the map covers today. Are you ready? 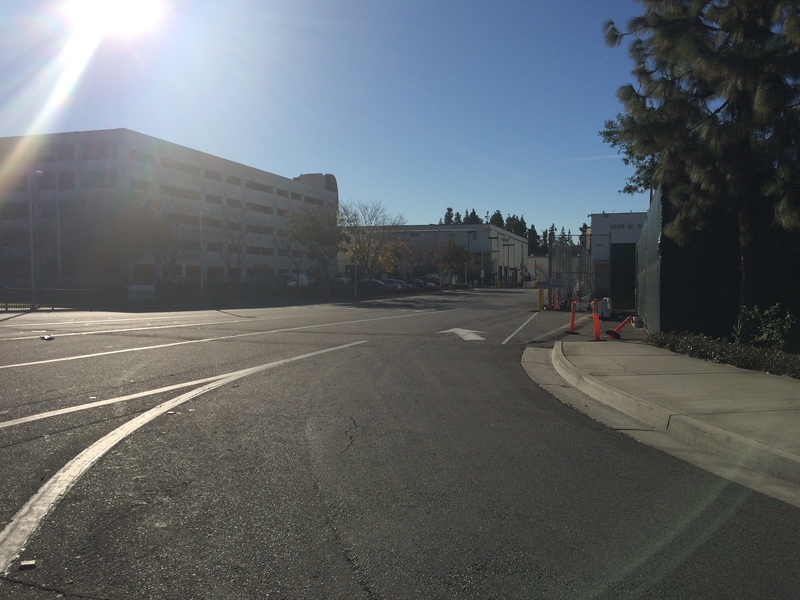 Here is a wide out shot of the first part into Disneyland. I’ll get a little more up close in a bit. 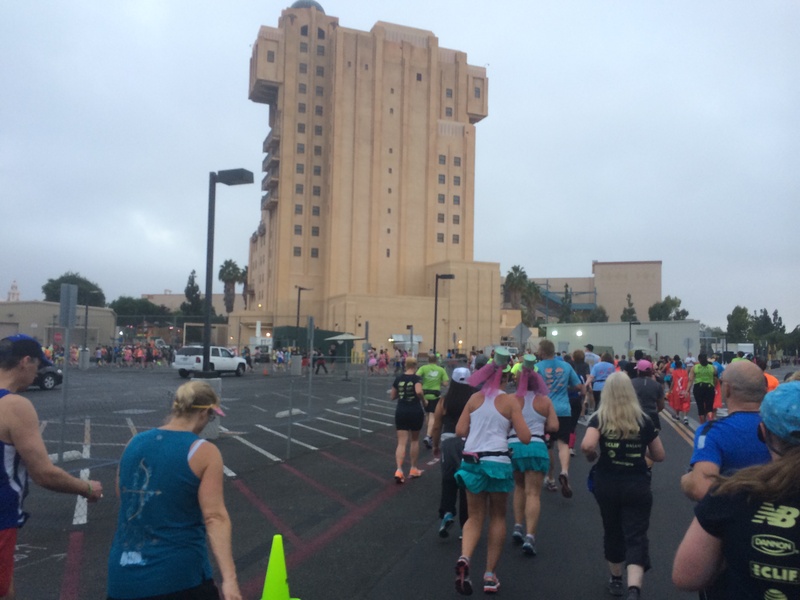 The race course heads the opposite direction from the Disneyland and Avengers Super Heroes Half Marathon routes on Disneyland Drive. 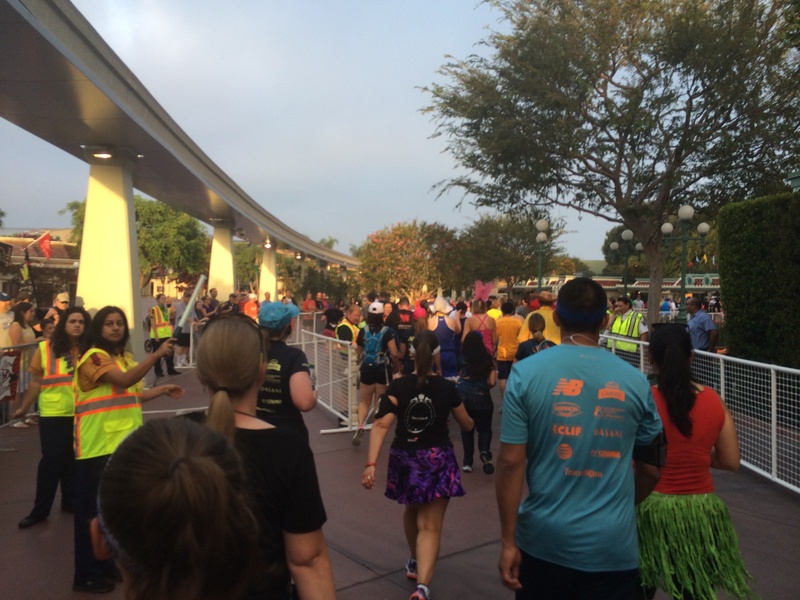 If you’ve run either of those races, you will be running towards where you lined up. I believe the start line will be somewhere near where the picture is above. As you head out, you will face the first of two inclines on the entire race course. As you can see, from this look back picture from the top, it’s not really much of an incline. However, it is one. 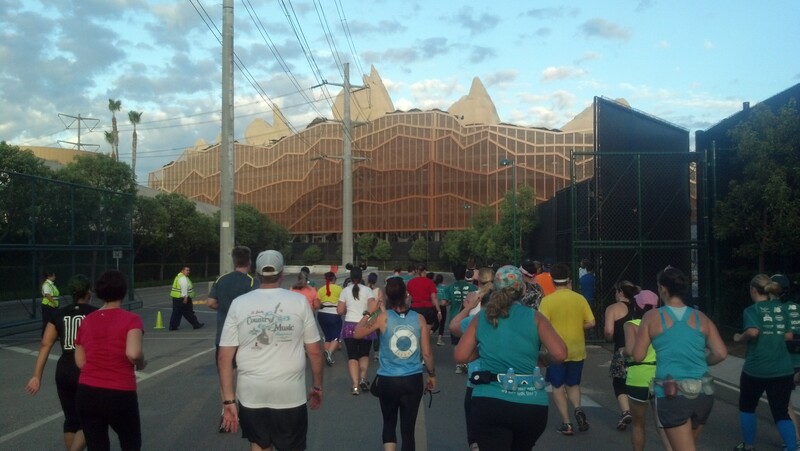 Of course, at the beginning of the race is the perfect spot for inclines because you have all the energy in the world. I mention it so that you are not surprised. 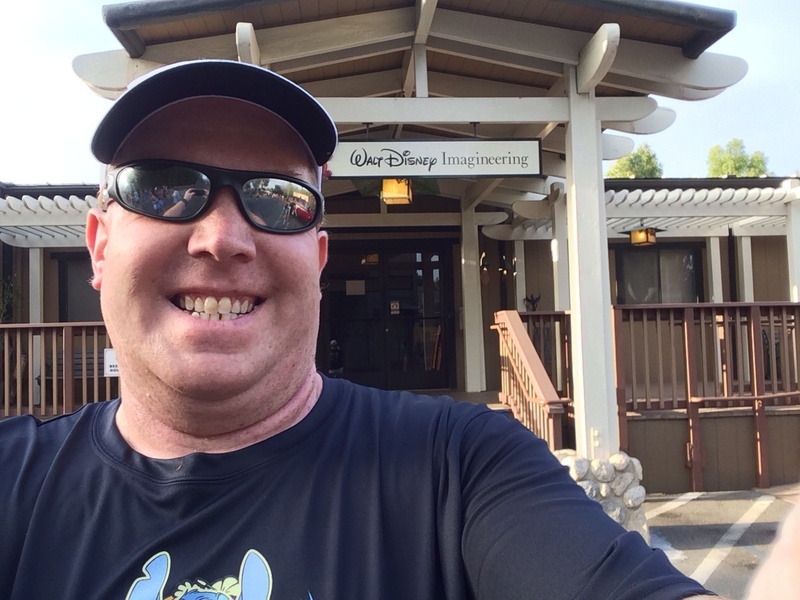 If you’ve run the Disneyland Half Marathon or Avengers Super Heroes Half Marathon and were in one of the last two corrals, this is where you lined up. For Star Wars, you’ll be running towards it. 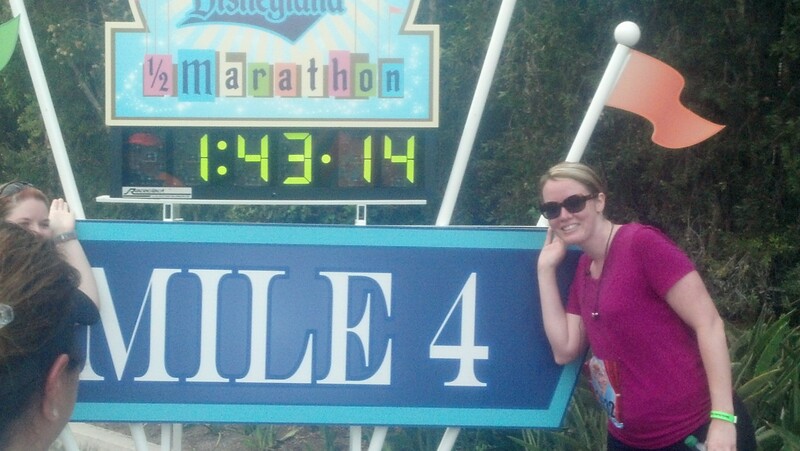 If you’ve run the Disneyland Half Marathon, this is where the 4th mile marker is. From there, it’s a quick downhill as you come up to Ball Road where you will turn right. 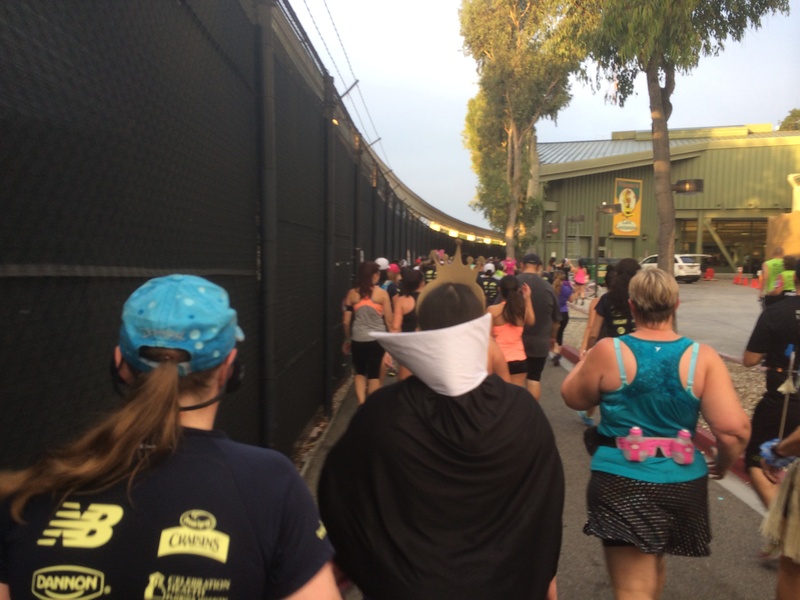 So, you head up Ball Road, like the Disneyland Half Marathon. Only…. 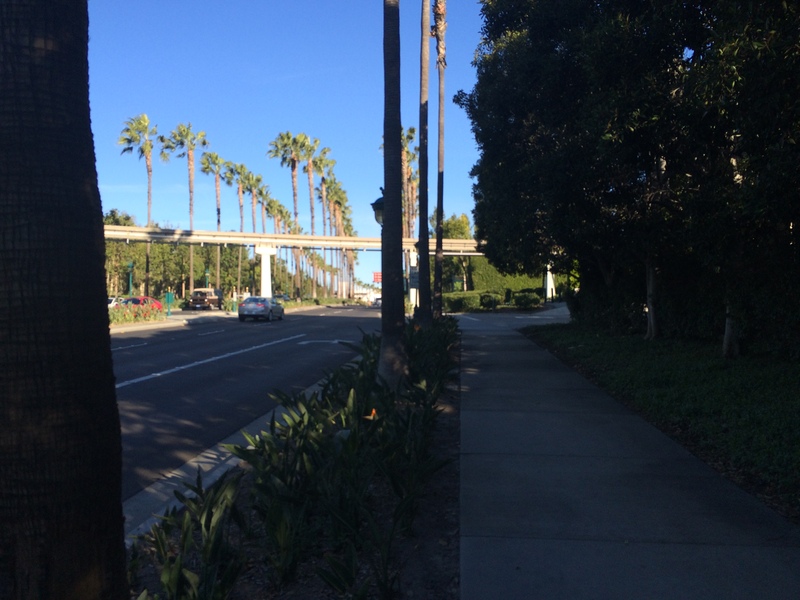 Before you get to the 5 freeway overpass, you’ll turn right into the backstage area of Disneyland. 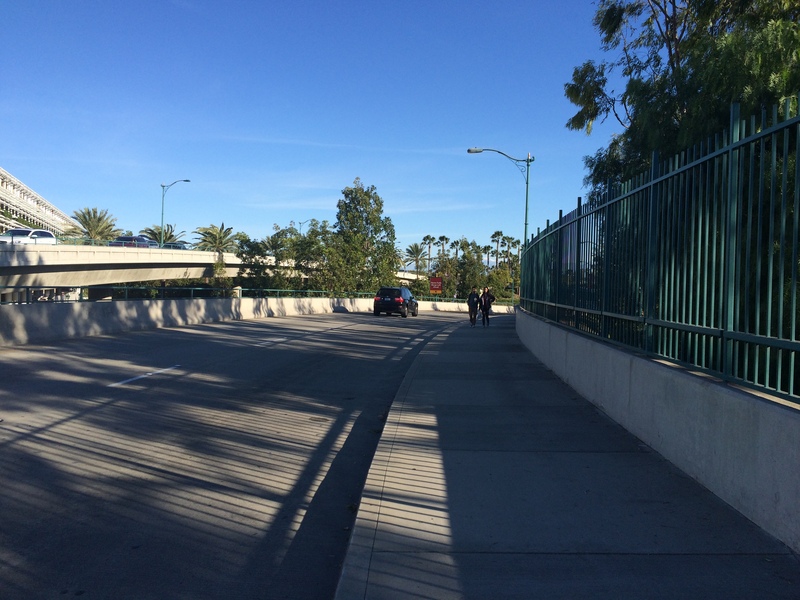 That means…no overpass to climb! Hooray! 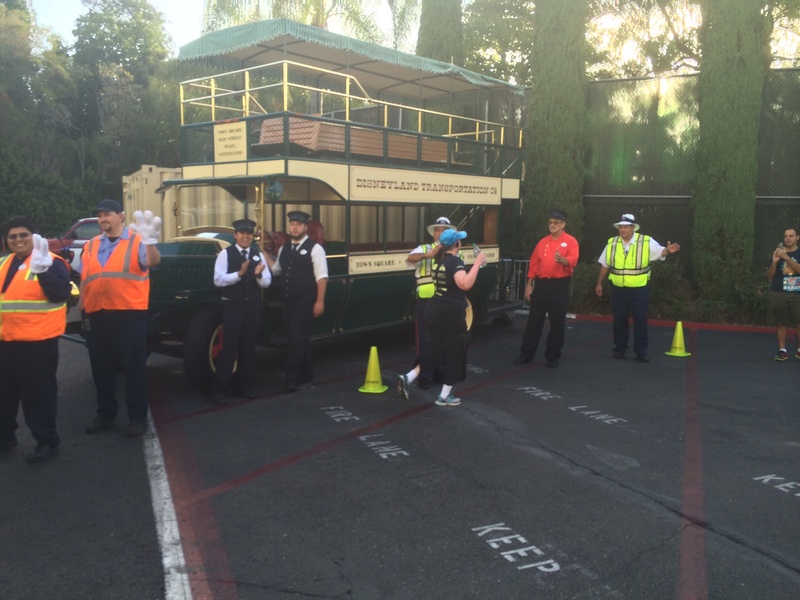 This a part of backstage Disneyland that I don’t believe runDisney has covered before. So, I don’t have pictures. However, it looks like you’ll turn into the backstage area. 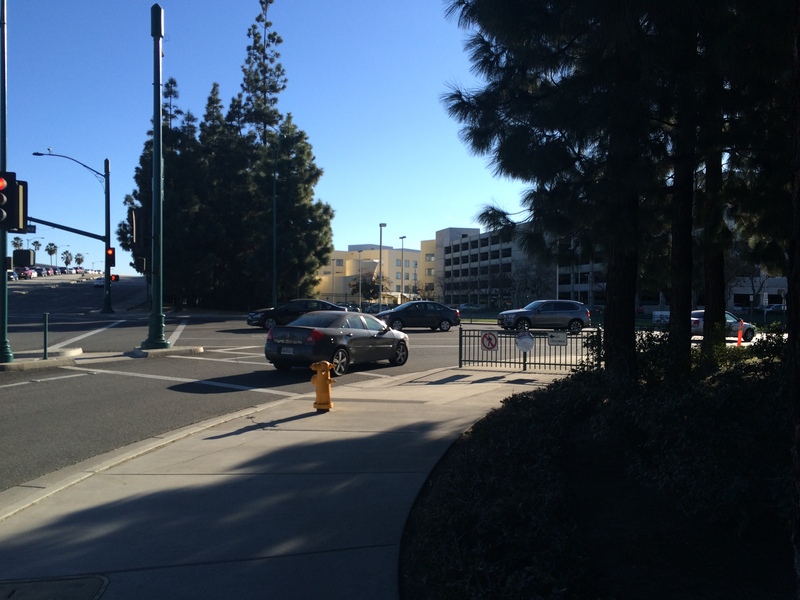 You’ll run left pretty quickly and pass the visitor parking for the Team Disney Anaheim building. You’ll pass in front of that building. I’ve walked this area many times for Candlelight practices. It’s really nice! Critter Country, New Orleans Square, The Haunted Mansion, among other things. 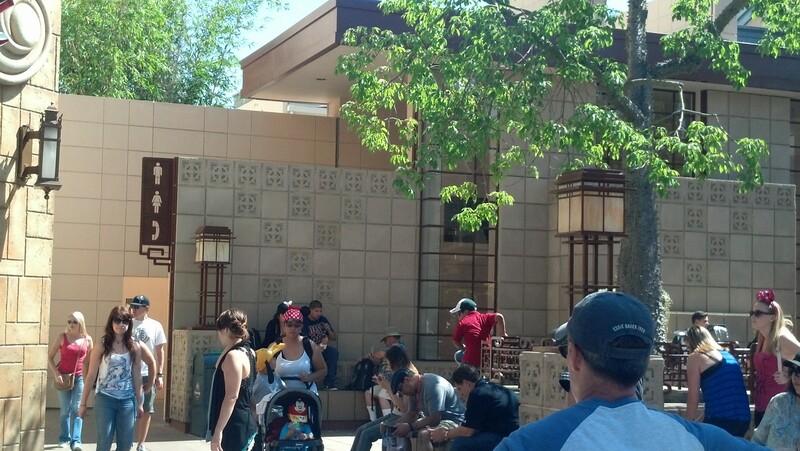 As you see, we’ll exit backstage Disneyland and head out to the front entrance. 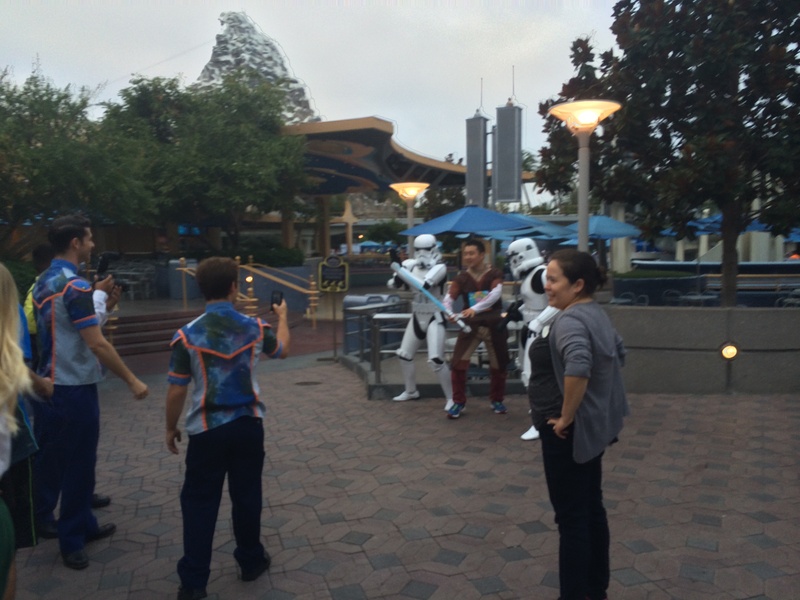 As we exit backstage Disneyland, these guys might be there. 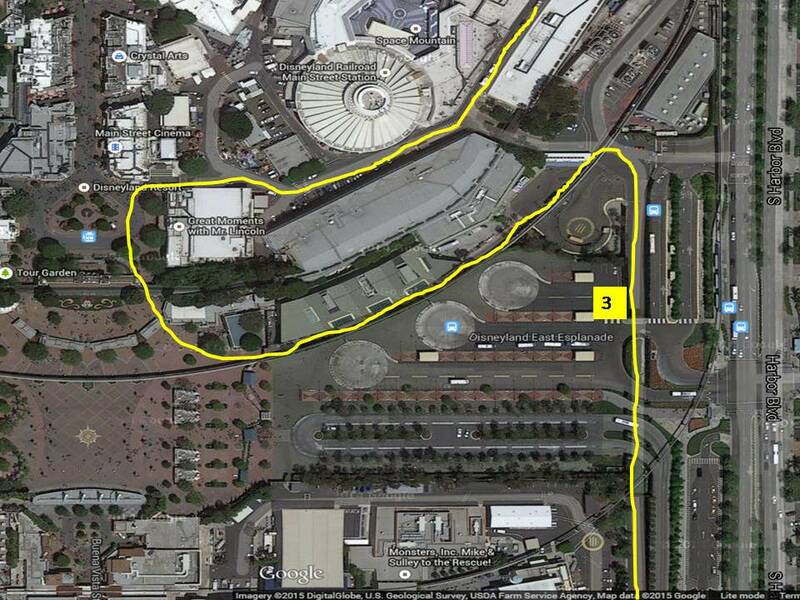 From the map, I’m guessing that we’ll make our way out into the Esplanade and into Disneyland through the far left entrance. 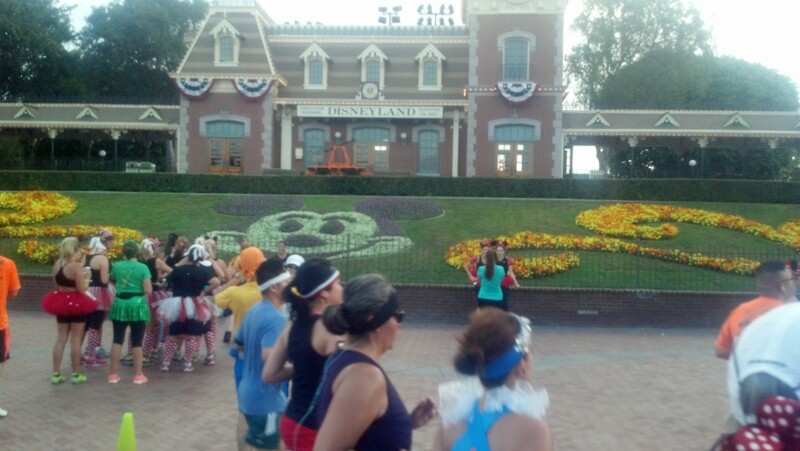 We will be coming in a different side than the Disneyland Half Marathon takes us. However, I’m pretty sure there will be people to take your photo at the entrance. 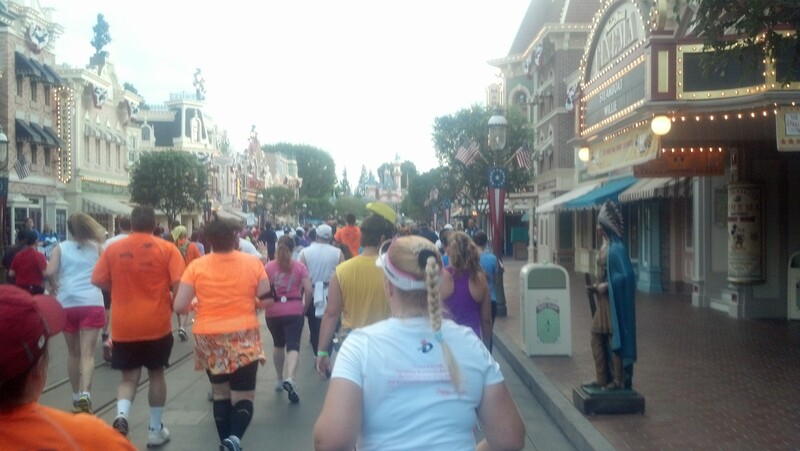 We will head up Main Street U.S.A. like we do with the Disneyland Half Marathon. Stay to the sides of the roads as the folks from Marathonfoto like to populate this part of the course. 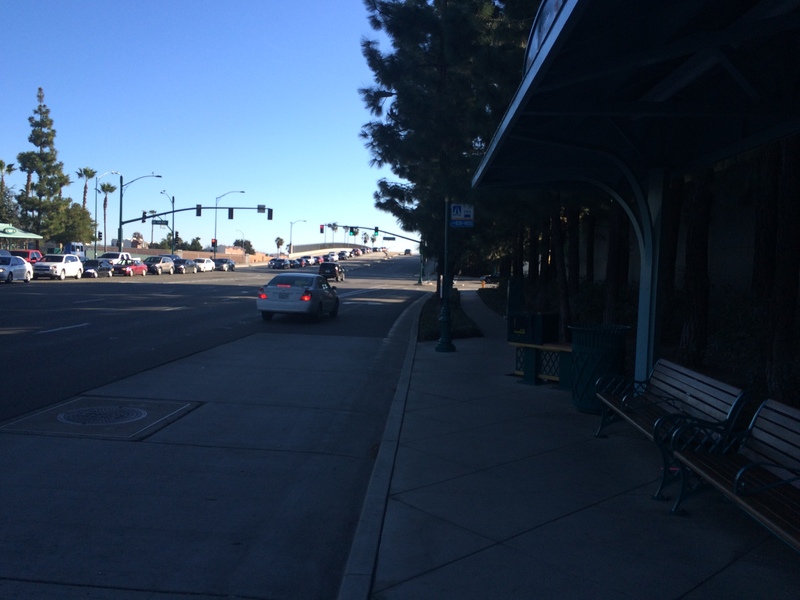 We cross the 2 mile marker right around the hub. 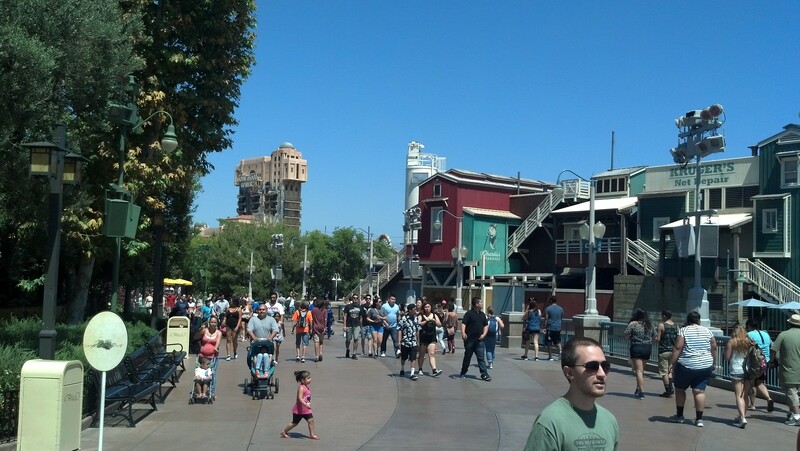 It looks to me like we will head to the left into Frontierland from the hub. We’ll wind our way to the Rivers of America and turn right onto the Big Thunder Ranch Trail. That should lead us into Fantasyland. 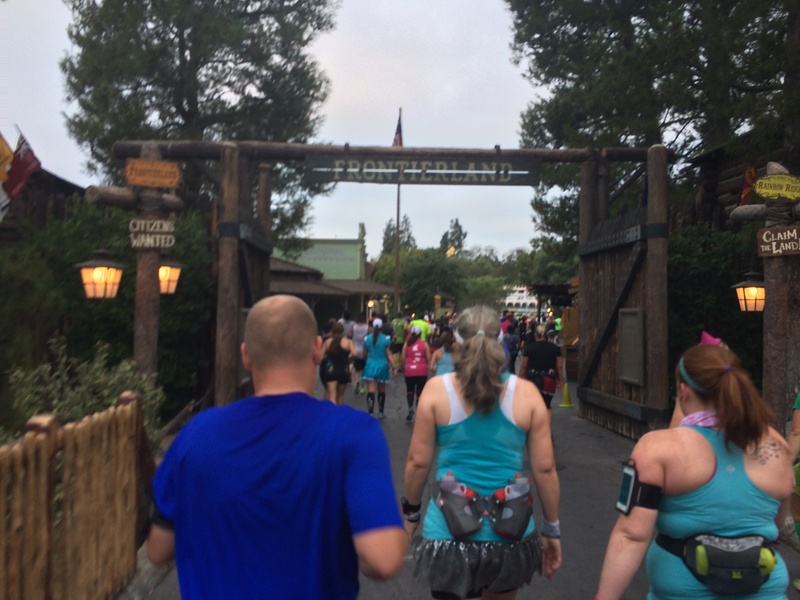 Unlike the Disneyland and Avengers Half Marathons, we will not be turning up Fantasyland towards Sleeping Beauty’s Castle. 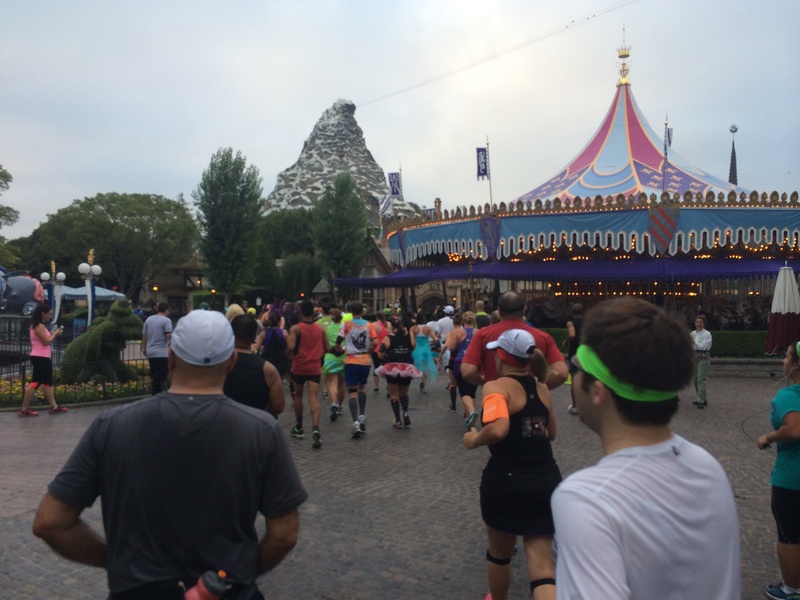 Yes, there will be no running through Sleeping Beauty’s Castle on this race. I know that will probably bum out some people. Instead we’ll continue through Fantasyland, past the Tea Cups and make our way towards Tomorrowland via the Matterhorn. I believe we’ll be heading the opposite way in this part. The Matterhorn will be to our backs. 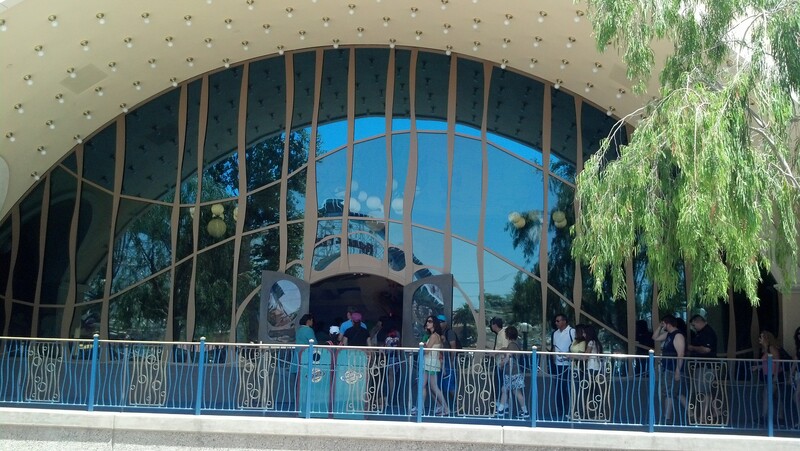 I’d be pretty surprised if there weren’t Star Wars characters in Tomorrowland. In between Innoventions and Redd Rocket’s Pizza Port is a gate to backstage Disneyland. I believe we will head off back stage at that point. We’ll go behind the Captain EO Theatre, behind Main Street U.S.A. Somewhere around the Mr. Lincoln Theatre is an entrance to Main Street U.S.A. that I think we’ll use to get back to the front of Disneyland. 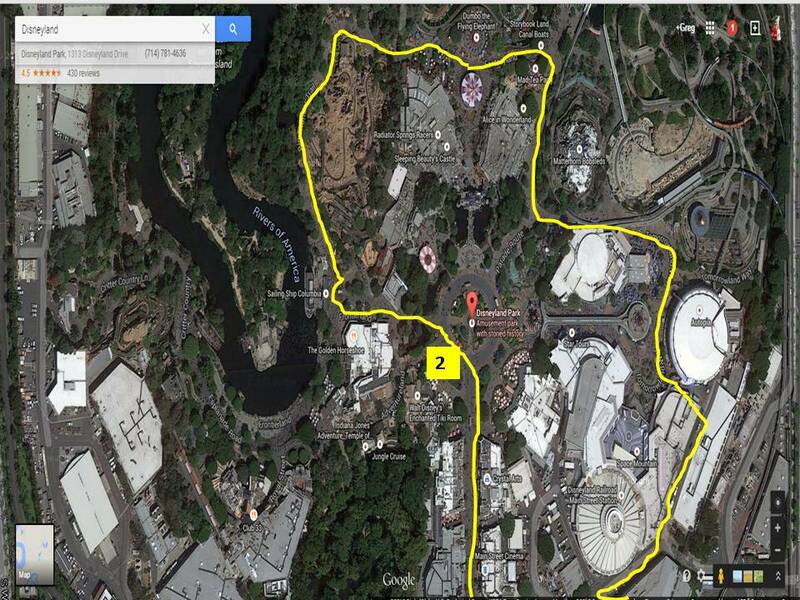 This is the way I’m picturing it from the runDisney map. So, we’ll briefly get back on stage before exiting the park. 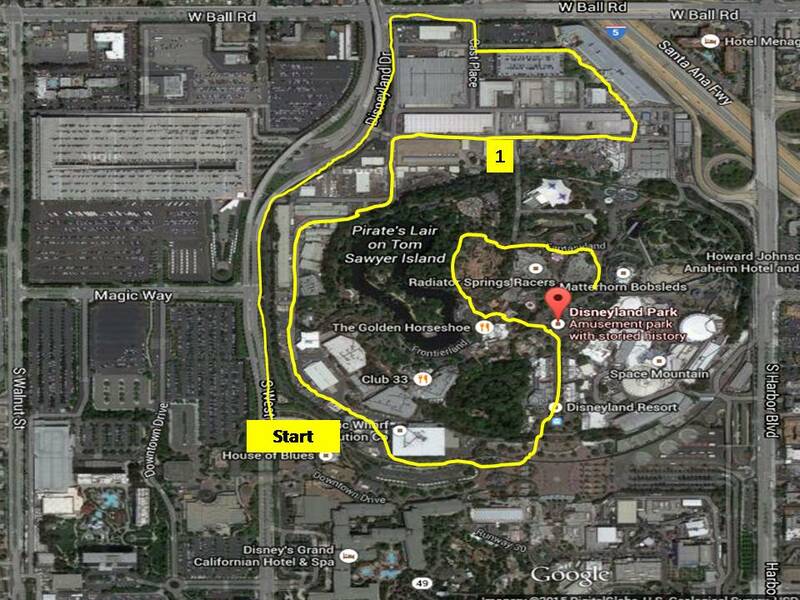 So, when we leave Disneyland, we’ll be heading the opposite way from the Disneyland 10K course, but we’ll be heading through this area. We’ll loop around and head through this area. Right around here is the mile 3 marker! Be careful as you go downhill here. 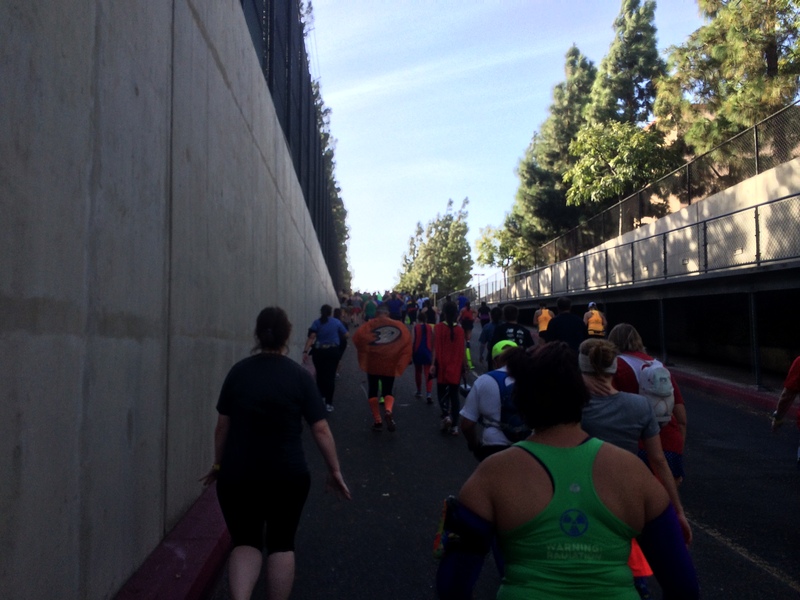 On the Avengers Super Heroes Half Marathon, some poor woman lost control going downhill hand had a major fall. The decline is pretty steep. So, be ready. 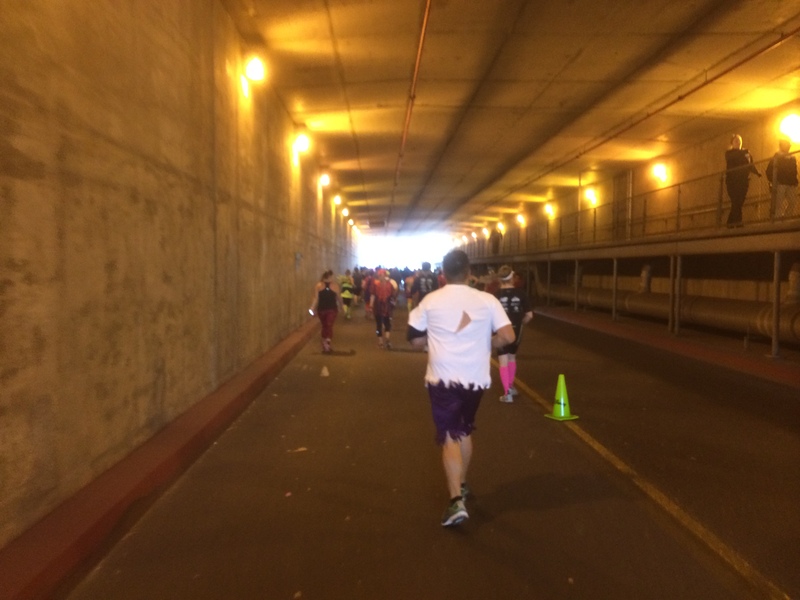 You’ll run through this tunnel. 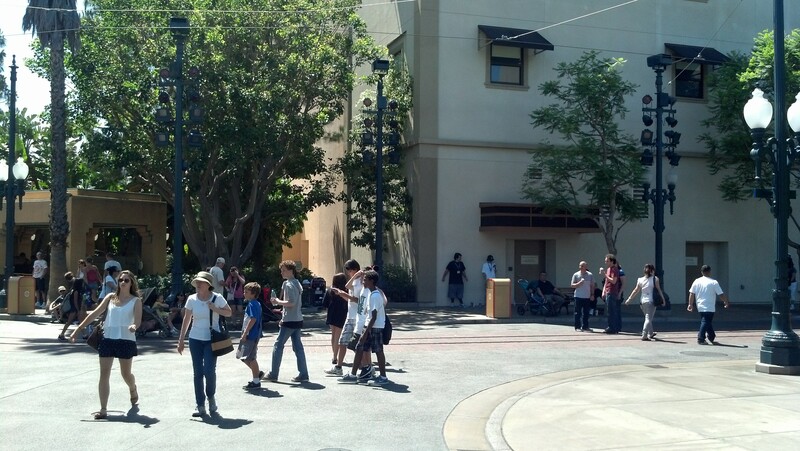 Then, it’s up hill into the backstage area of Disney California Adventure. Yes, the incline is steep, but the distance is not very long. If you have to walk, do so. 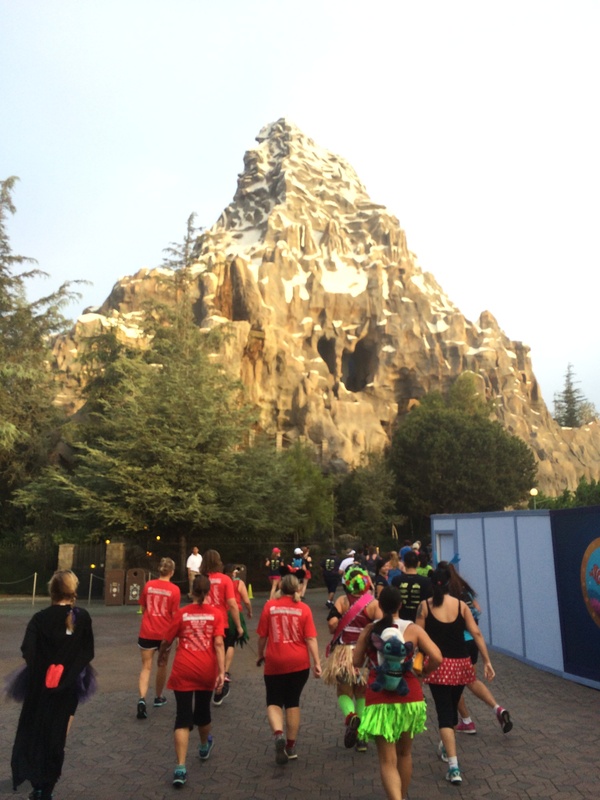 This is the last climb of the Star Wars Half Marathon! Once you get to the top, you will have a mostly flat course the entire rest of the way! 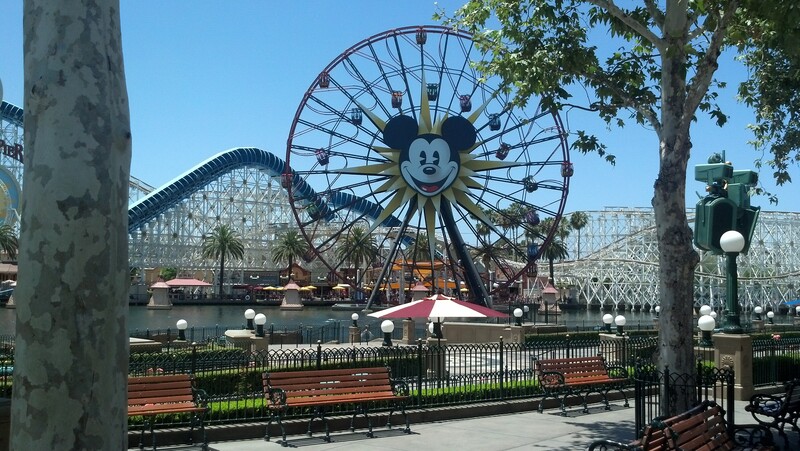 Now that we’re in DCA, it’s a lot of guess-work for me. 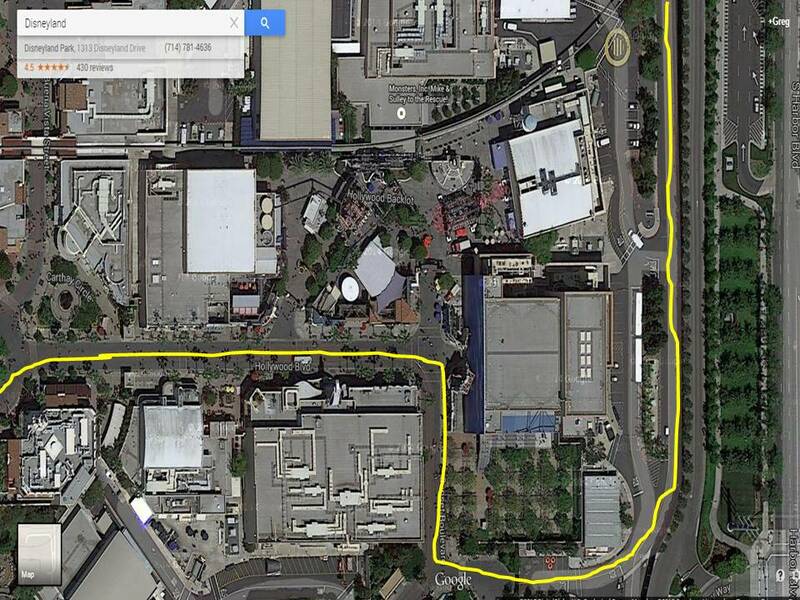 I think we’ll wrap around and come on stage next to the Twilight Zone Tower of Terror and turn to the right. So, we’ll come onstage here (I believe). 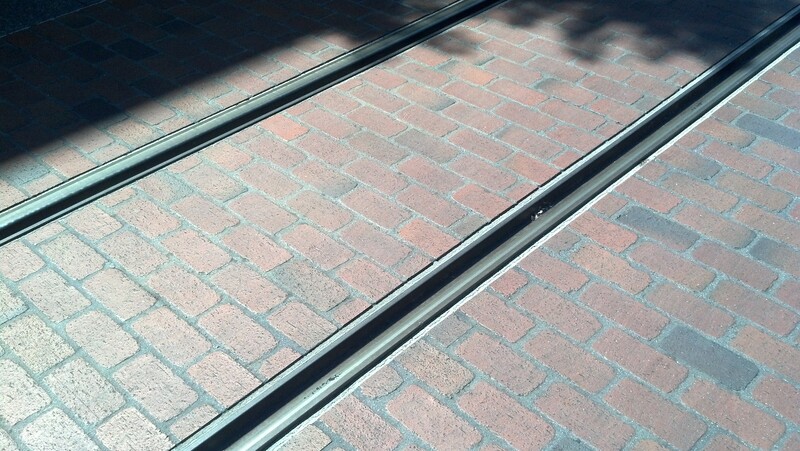 Be very careful of the Red Car Trolley tracks all the way through Hollywood Land. 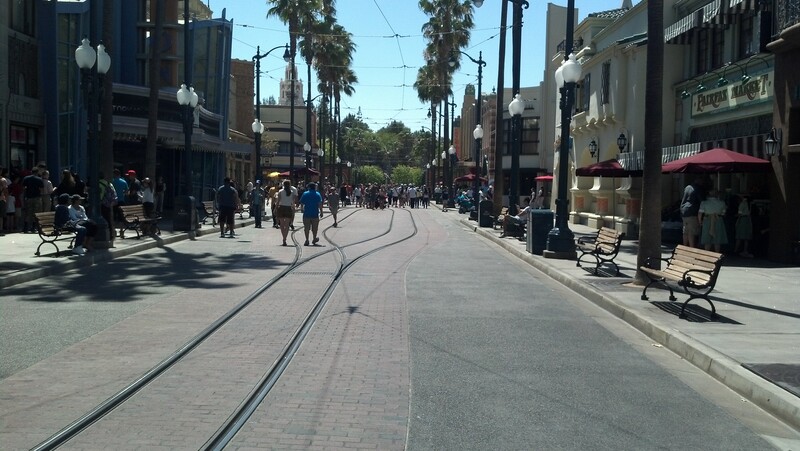 The tracks continue up through Hollywood Land. So, be careful. 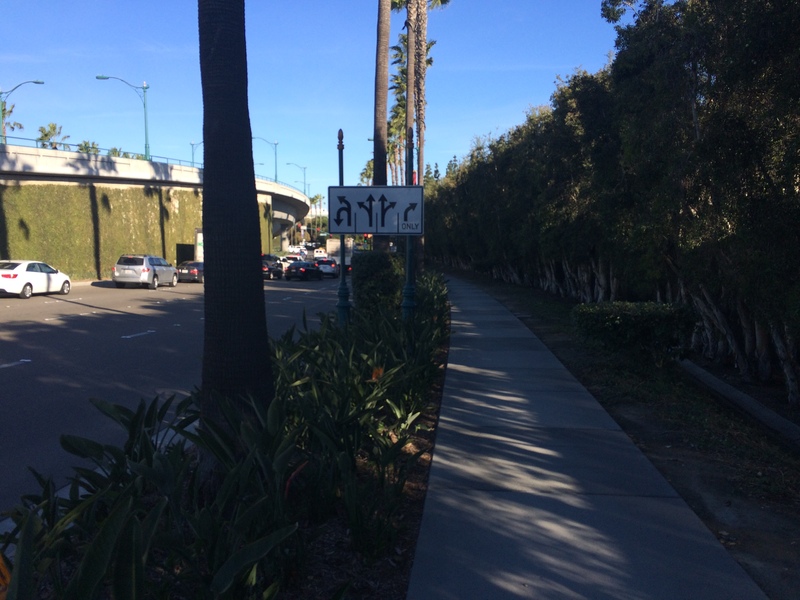 Also, off to your right, just past the Art of Animation building is a real restroom. The restroom is off to your left and looks like the above picture. So, we’ll pass by the Carthay Circle Restaurant and make our way towards Paradise Bay. 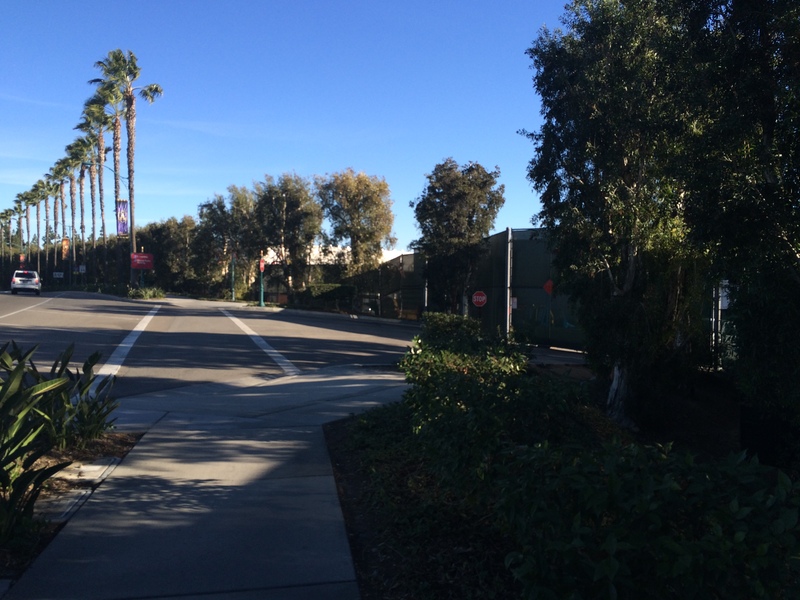 You’ll pass by the main entrance to Cars Land, but it doesn’t look like we’ll be running up Route 66. We’ll be heading the opposite way of this picture on our way to Paradise Bay. You’ll pass by here which might be a great spot for a picture. 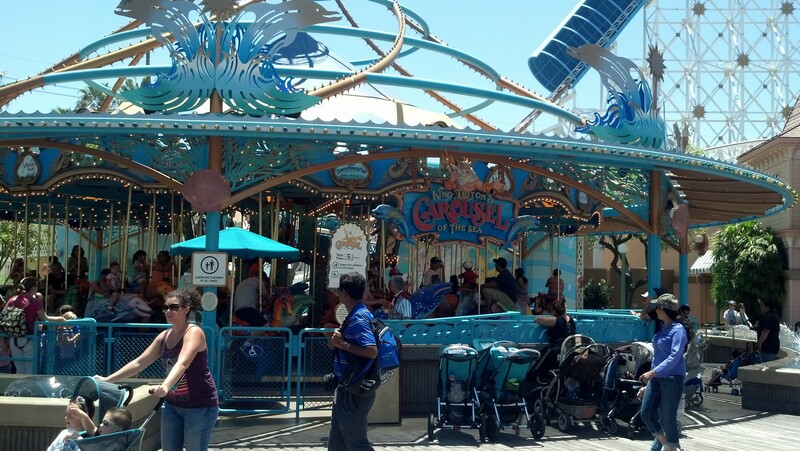 You’ll pass by Ariel’s Undersea Adventure and wrap all the way around the bay. If you want a picture with Mickey’s Fun Wheel in the background, I’d suggest taking it on the way into Paradise Bay and not on the way out. 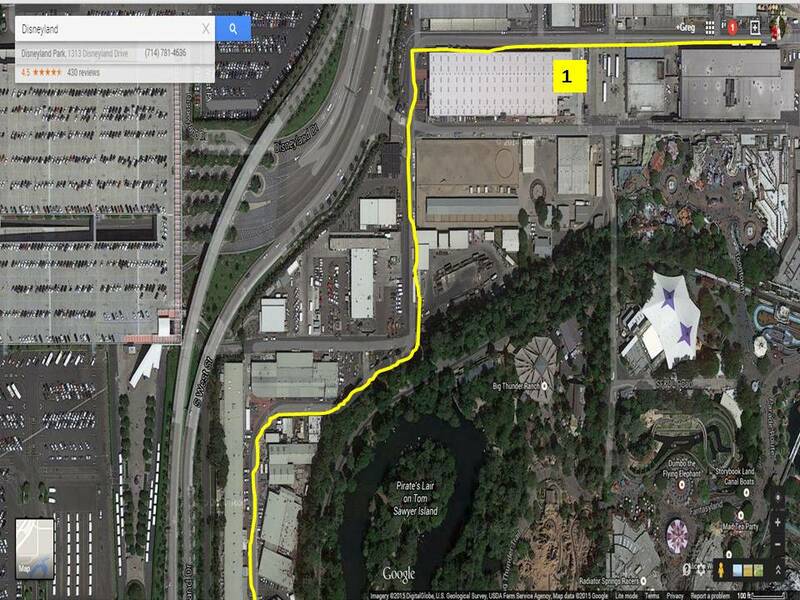 It looks like the mile 4 marker will be somewhere by Ariel’s Grotto. By the way, as you’re running along the Paradise Pier area, between Toy Story Midway Mania and King Triton’s Carousel, to the right is the last real restroom to your right. So, if you have to go, keep an eye out. If you’ve reached the entrance to California Screemin’, you’ve gone too far. 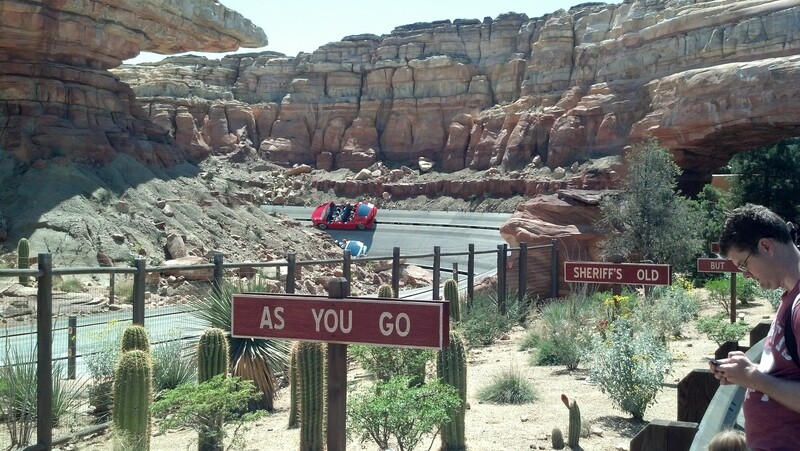 When we get back onstage at DCA, we’ll pass through this part of Cars Land. 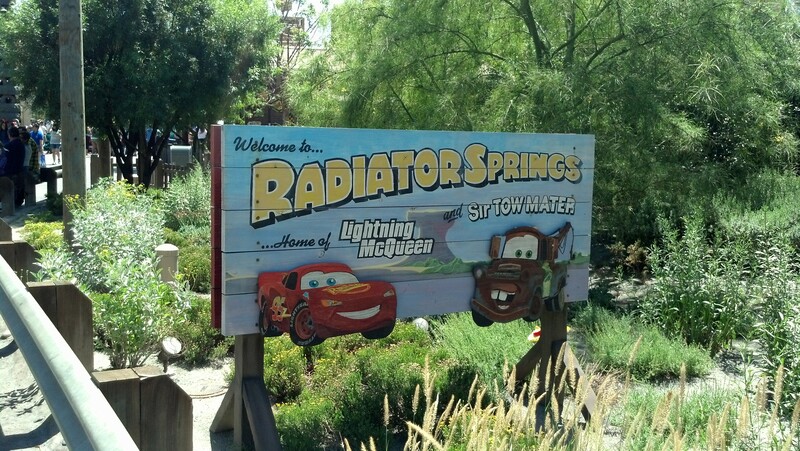 It’s not main strip of Cars Land, but awesome! 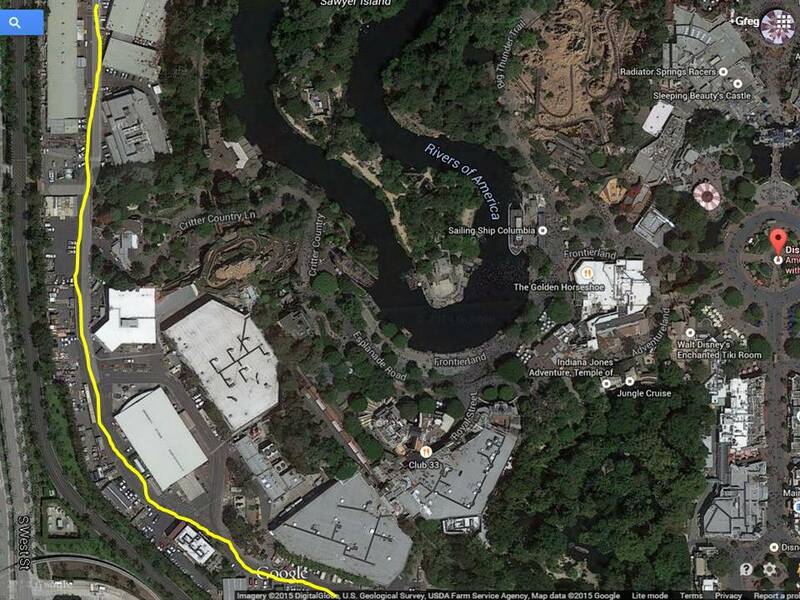 There’s a path that leads from Cars Land through A Bugs Land and the Tower of Terror. I believe this is where we’ll exit DCA. We’ll be running the opposite way as we exit DCA. 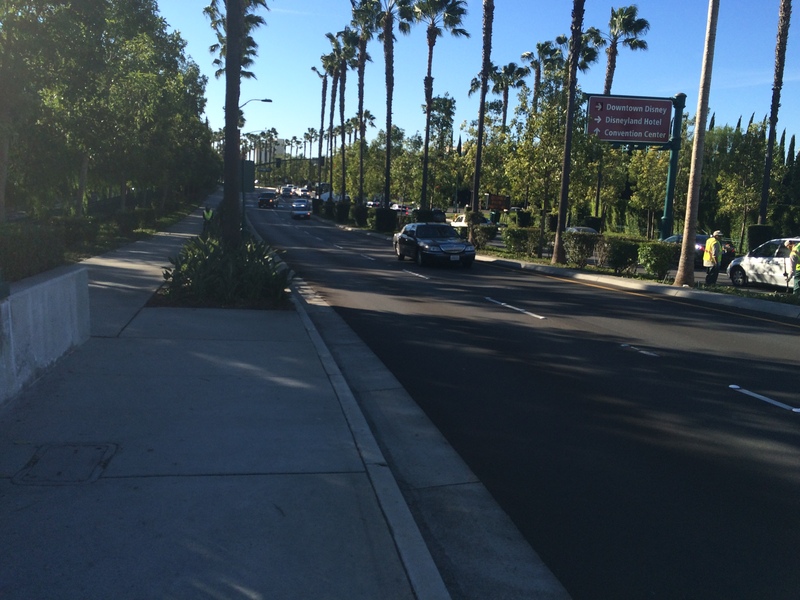 We’ll be going the opposite direction again from this picture as we head to the streets of Anaheim and Garden Grove. 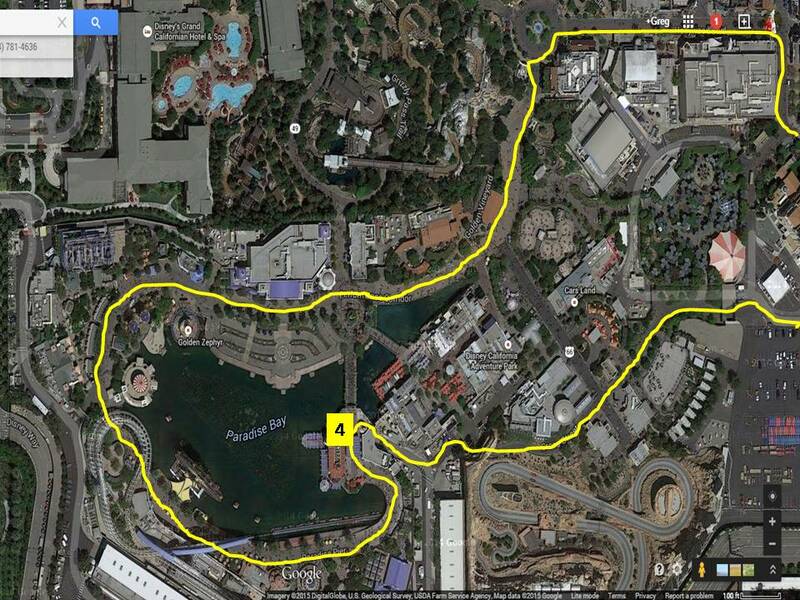 Up next will be the non-theme park part of the race. Fantastic Start to 2015 on Week 1! Looks like a great course! I won’t be running this one, but it looks much better than Avengers. I was very unhappy with the lack of park time on that race. It does look like it will be a better course than the Avengers Half. 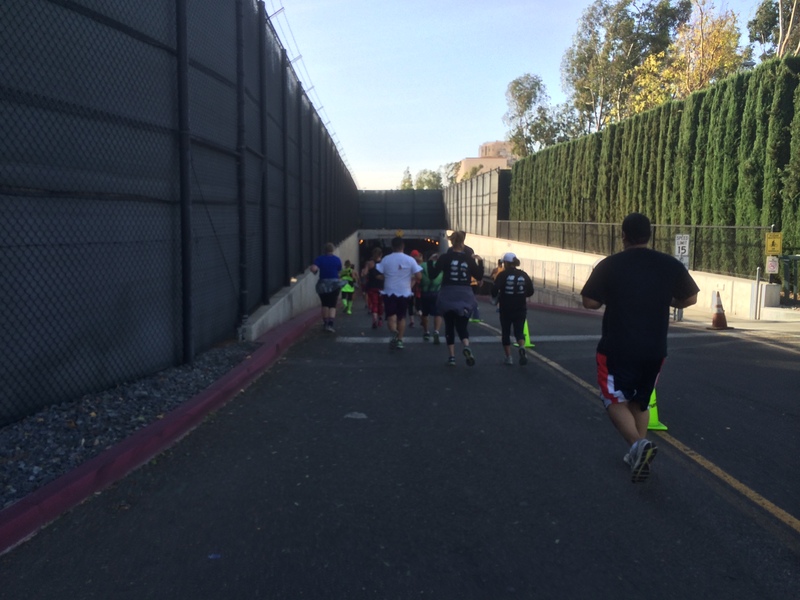 Although, I will miss running through Angel Stadium. I’m loving this post! I’m getting so excited! 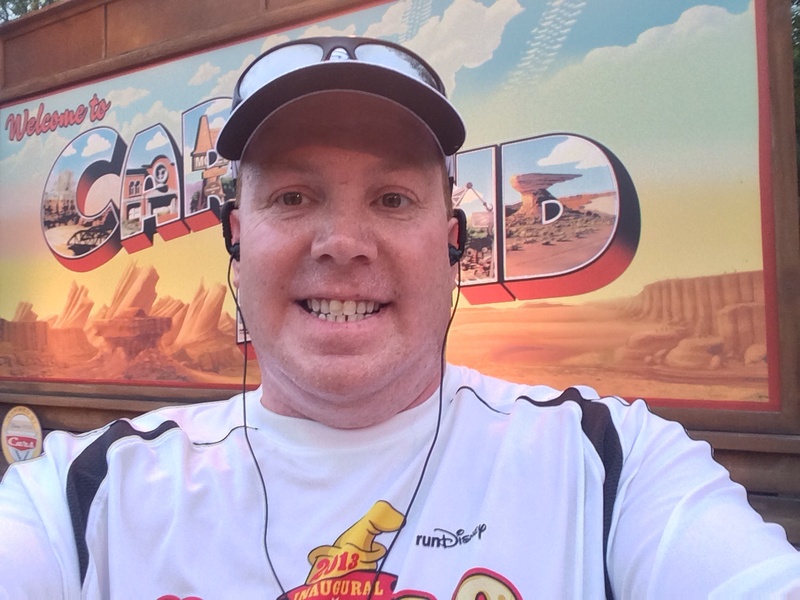 I ran the DL 1/2 in 2013 for the Inaugural Dumbo and I am looking forward to the DL experience again. I just wish there was a way to be in the park towards the end so you have something to look forward to as opposed to so much of it being in the beginning. I hope you love this course! I hear ya on not finishing in the parks. 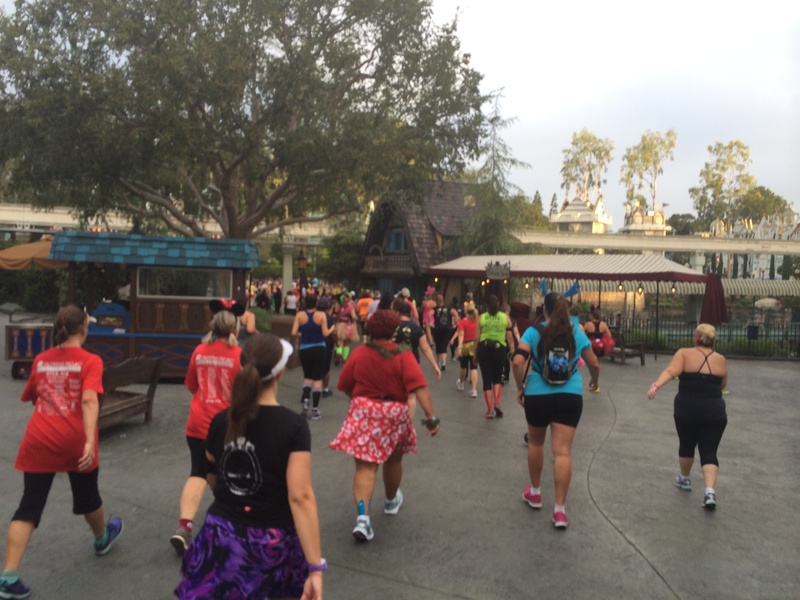 That doesn’t seem to be something runDisney wants to do at Disneyland. I’m interested in seeing what they are going to do in the non-theme parks part of the course to make it fun. Me too! I remeber some ethnic performances along the steets as well as marching bands and cheerleaders. I guess we will find out soon enough! 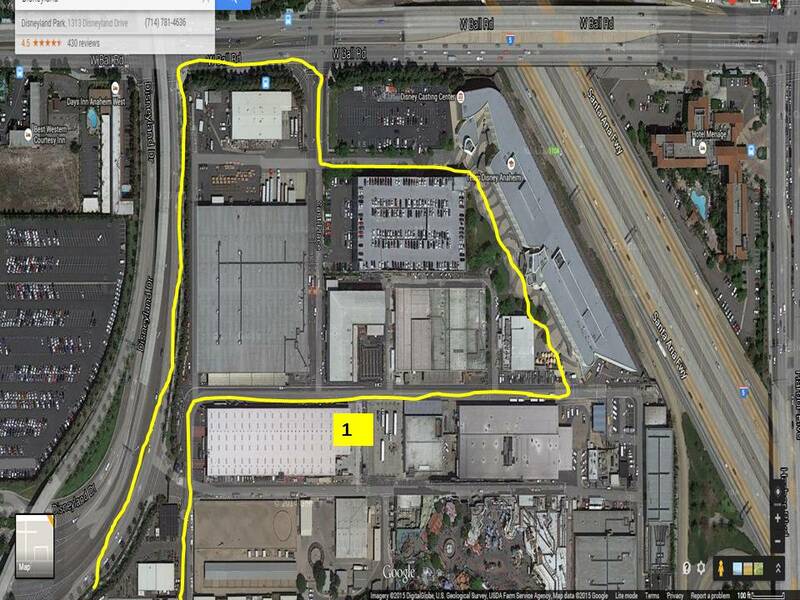 Our Race Announcer, Rudy, told me at the Avengers Expo that LucasFilm is getting involved with the staging of this race. So, he warned me not to run this race for time because they have some really cool things planned. He couldn’t tell me what they had planned. However, he was very excited about it. I can’t wait to see! Thats like the best insider info ever! We’re about a week and a half away from finding out what will happen! I can’t wait! Me too! Have fun with Dopey!